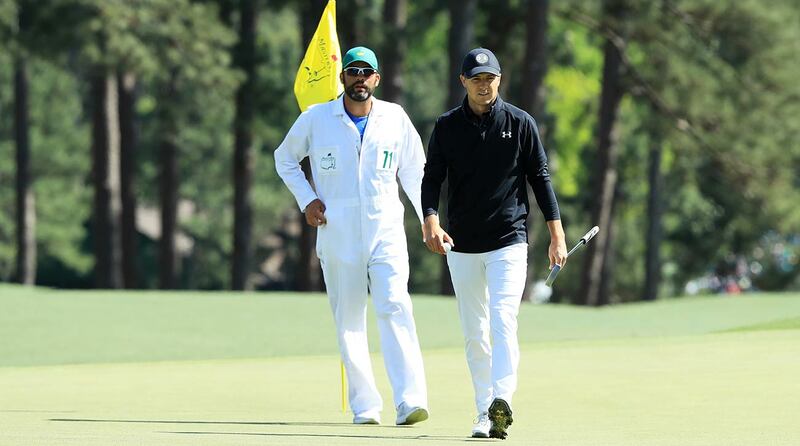 AUGUSTA, Ga. — Jordan Spieth saved his best for last and shot an eight-under 64 to close the Masters on Sunday at Augusta National Golf Club. Spieth missed an eight-foot par putt on the 72nd hole that would have tied the course record of 63 (shared by Greg Norman and Nick Price), and it would have been the first-ever 63 shot in a final round. He's now the seventh player to shoot 64 in a final round. He opened the day nine shots behind 54-hole leader Reed, but Spieth birdied the opening two holes and then added birdies on 5, 8 and 9 to make the turn in 31. He continued his tear on the back nine, making birdies on 12, 13, 15 and 16, the latter a 33-footer to momentarily tie the lead. In Spieth's four previous Masters appearances he's never finished worse than T11. He's finished T2 twice and won once, in 2015.